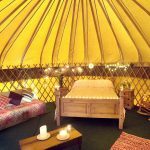 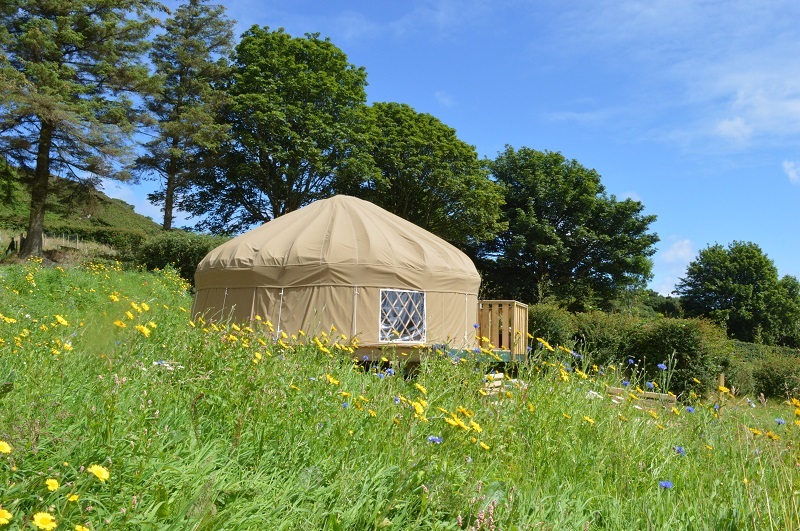 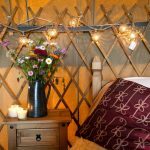 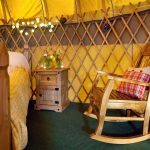 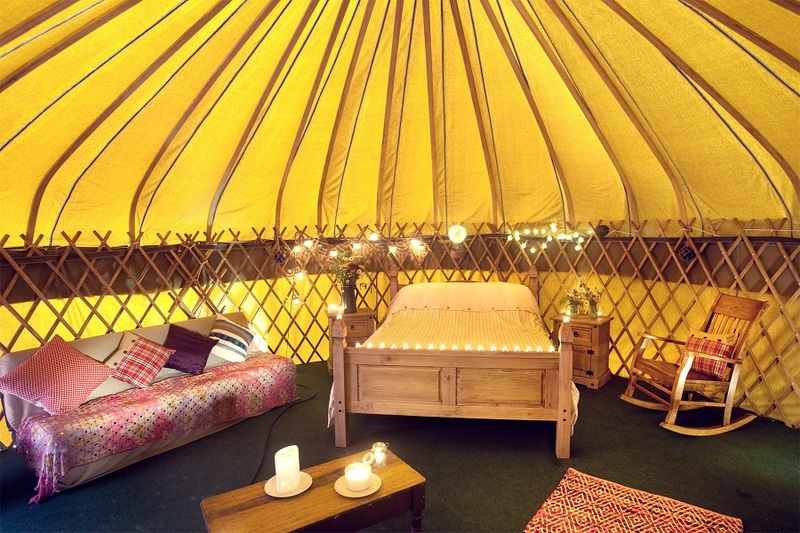 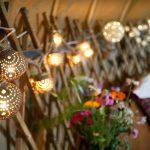 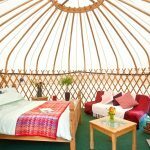 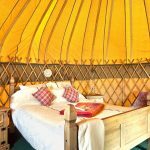 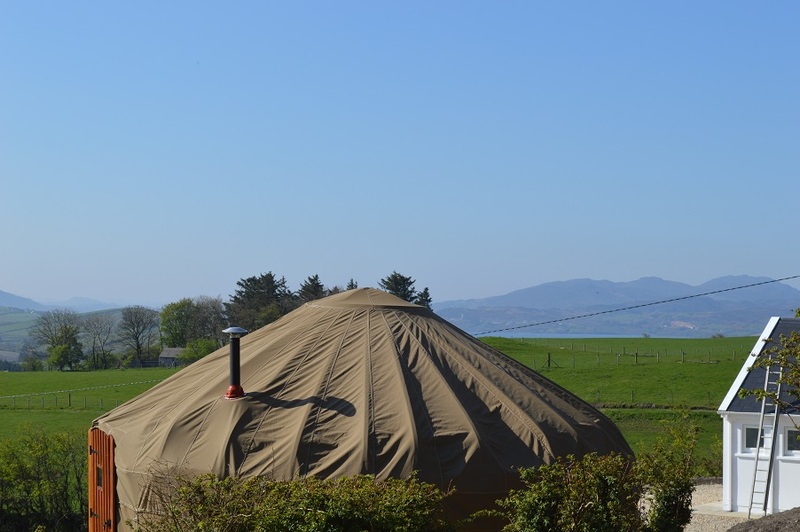 Mulroy is our largest yurt with king size bed, double sofa bed and lots of extra floorspace for additional airbed/camp bed. 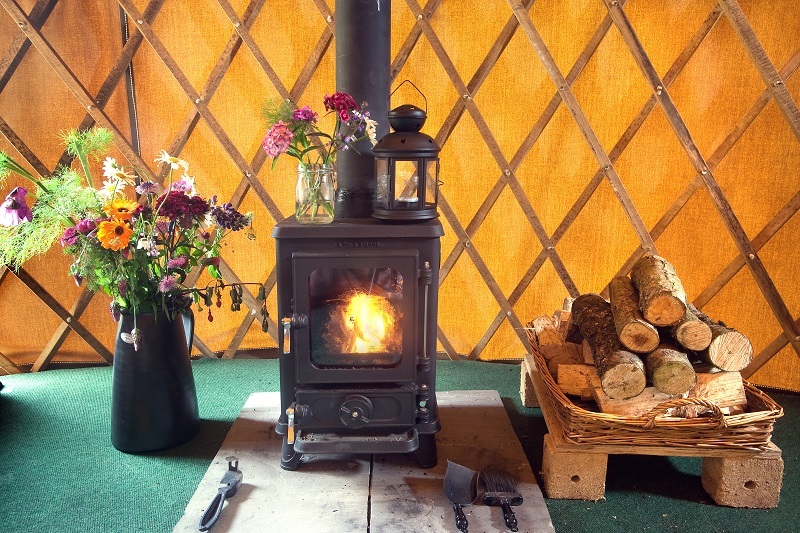 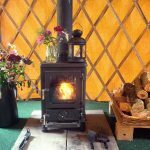 Inside the yurt you will find a lovely little woodburning stove for chillier evenings. 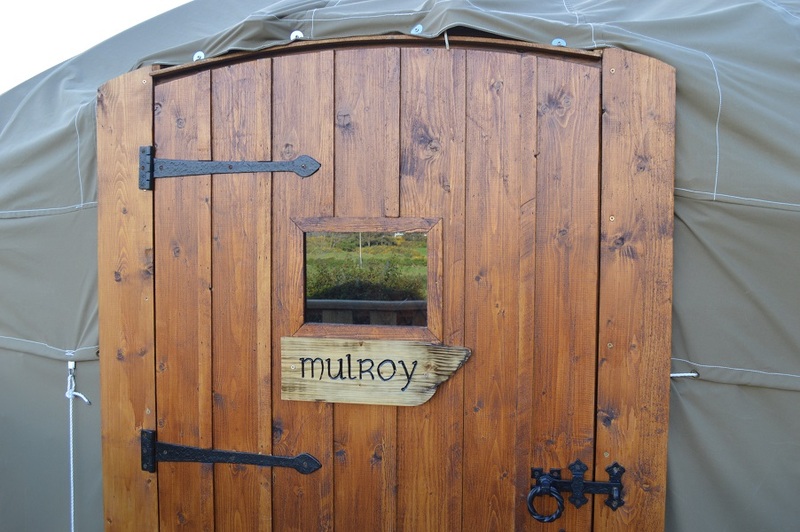 Mulroy yurt has an electrical connection with power sockets and a little table lamp. 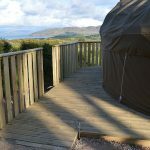 There is ramp allowing for access for people with disabilities. 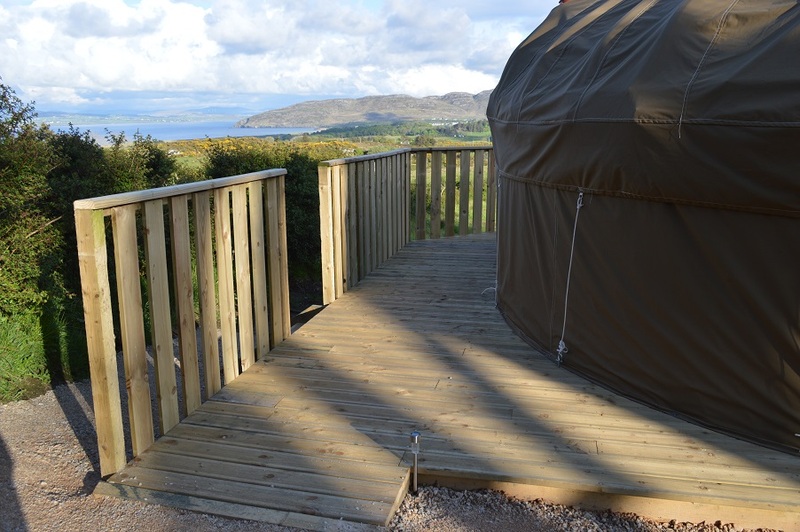 (the facilities building includes a fully accessible toilet/shower). 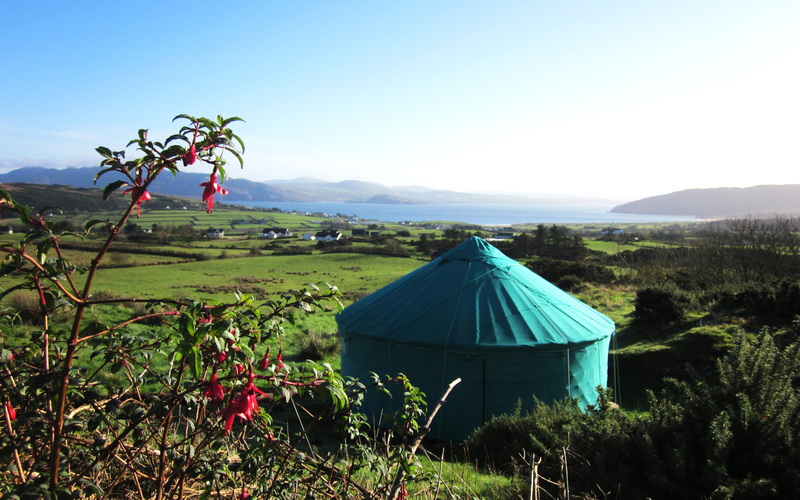 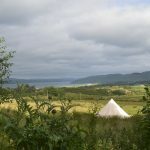 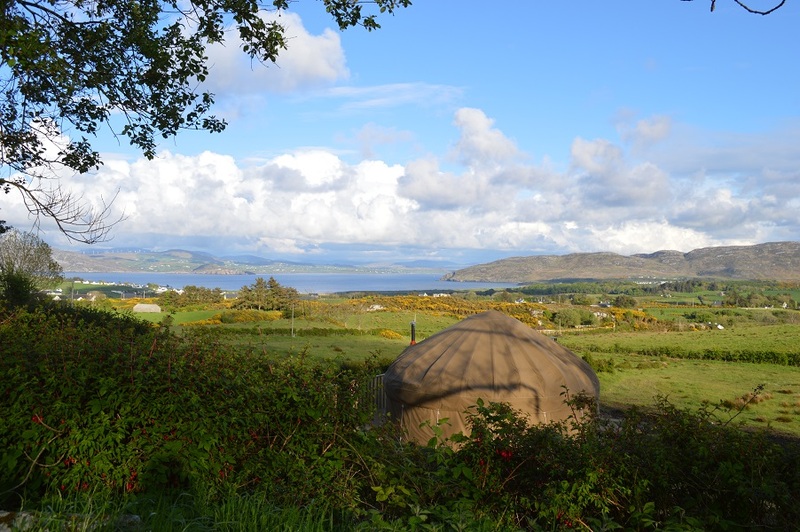 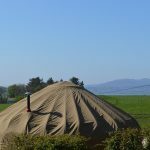 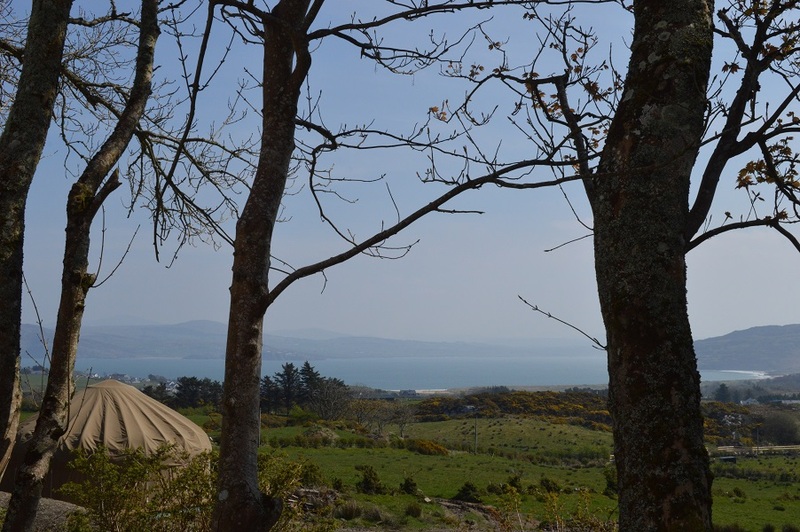 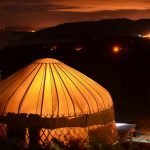 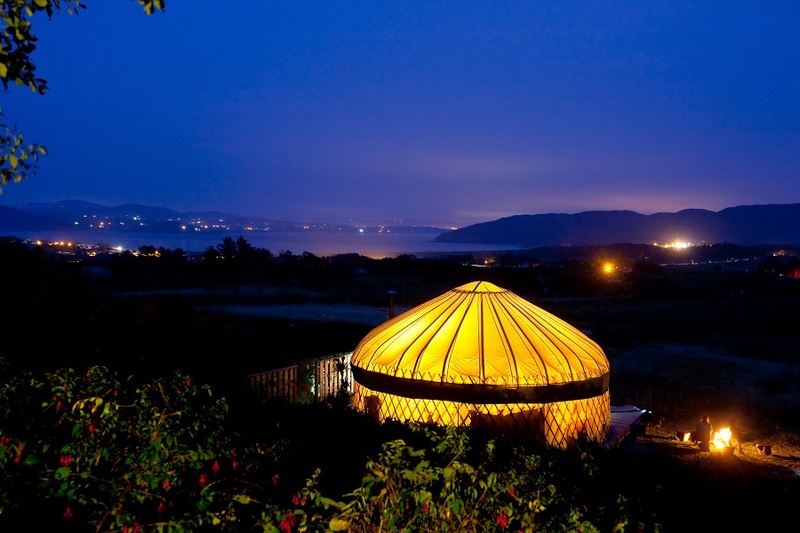 Mulroy yurt is situated about 20 metres from the facilities blocks and so is most suitable for those who want very easy access to toilets etc during the night time. 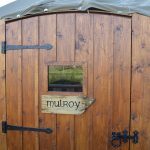 The yurt has a lockable front door plus a smoke alarm and carbon monoxide detector for your safety. 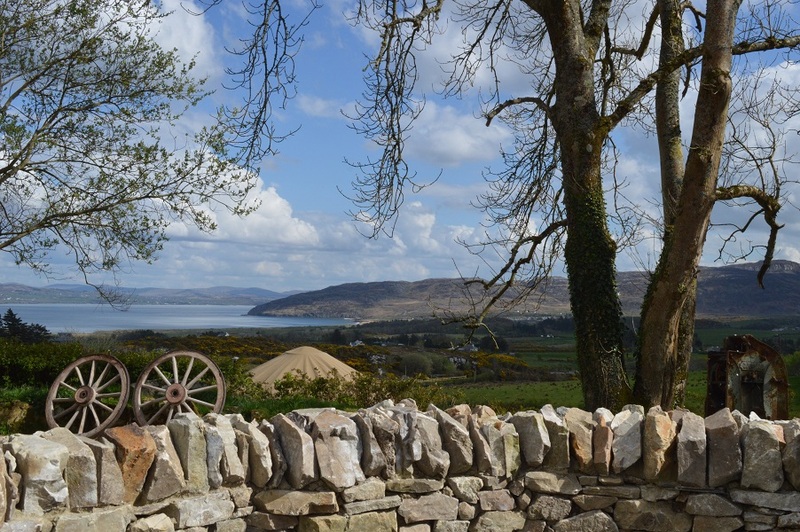 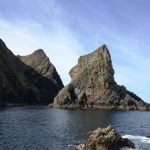 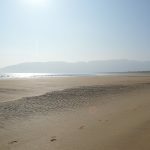 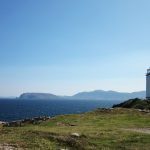 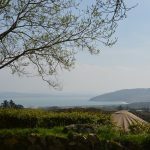 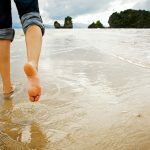 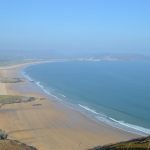 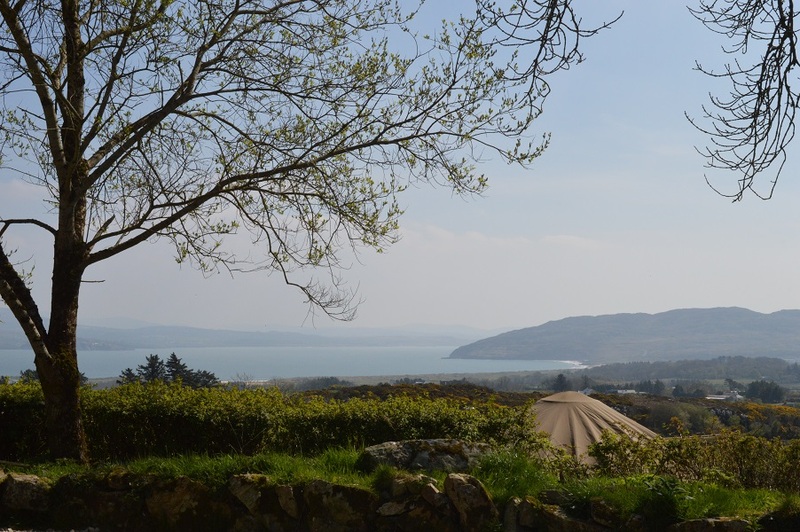 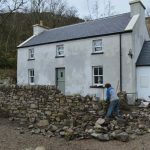 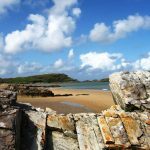 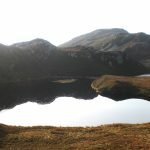 It is situated in its own 2 acre field and has stunning views of Knockalla Mountain, Ballymastocker beach and Mulroy Bay. 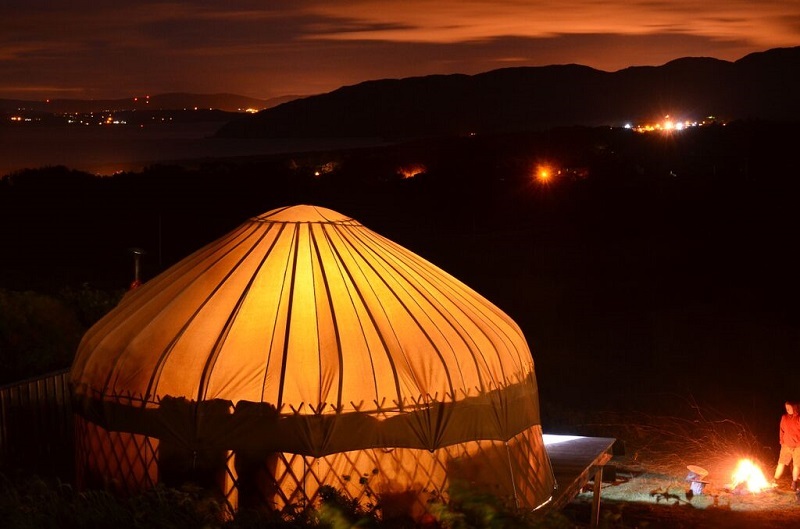 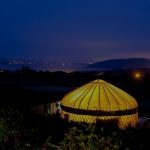 This yurt is well placed for enjoying both the evening sunset and the sunrise. 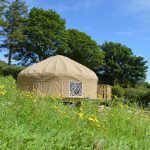 It will sleep two adults and up to four children comfortably so is the perfect option for larger families.